This article will cover why septic tank systems back up. There are so many concerns that a typical homeowners should pay attention to. It all starts the moment the house is liked. Many homeowners swear that they “fell in love” with their present homes the first time they saw it. Sadly, this is true. In fact, they are so in love with their homes that they often forget to ask the technical questions to the agent or the previous owner. Every single matter should be discussed before the actual purchase of the house. This is to make sure that the money was paid for a good home and not a problem-filled disaster area. A house inspector and a septic inspector should separately perform their inspections to make sure that the house and the septic system each get specialized attentions. Improper installation could lead to leaks, blockages, and damages within the septic. This leads to excessive wastewater backing up into the property. When the homeowner doesn’t keep the set pump out schedule with the septic expert, the sludge will go beyond normal or acceptable levels. This will lead to septic tank over flow. When new wastewater comes into the tank, the solid wastes will be all stirred up and dispersed into the drain field, clogging the entire system. This will eventually lead to failure. When the drains, sinks, and toilets are not used right and just treated like garbage bins, then the tank will just be filled with wastes that won’t be broken down or digested by the non-aerobic bacteria in the tank. The sludge will just increase in level until the tank fills up with it and until wastewater cannot be collected or stored in there anymore. Any damage within the septic tank system could be a reason why it backs up. Pipes could be crushed by any structure or vehicle placed over the drain field or the septic tank itself. 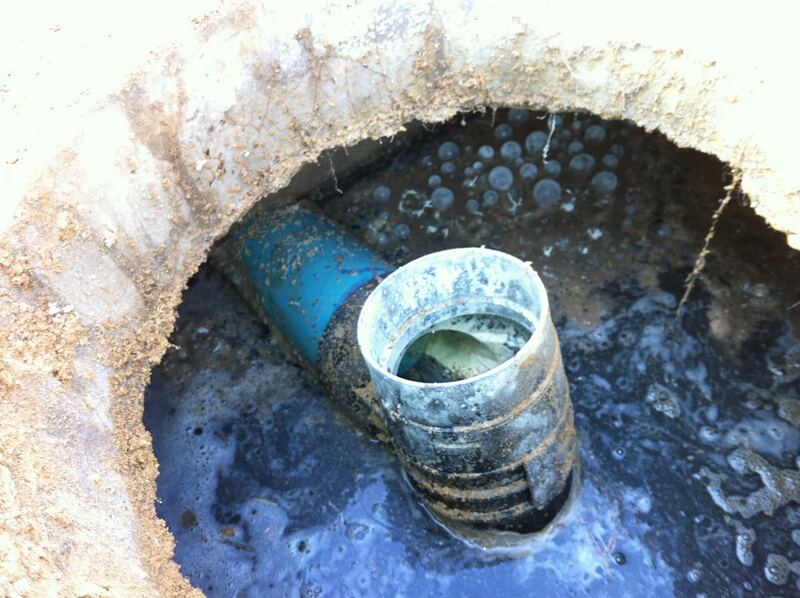 There might be invasive roots that have penetrated and destroyed the drain field pipes or the tank itself. When this happens, the effluent doesn’t complete the final treatments and just seeps through wherever they could, leading to backup. If you have a washing machine or a dishwasher, then your septic system is in trouble. Overload brought about by grey water stirs up the solid waste in the tank. The waste then disperses into the drain field and clog it. To prevent this from happening, a dry well should be constructed so that the grey water from the dishwasher and washing machine could be placed in a different area to be treated. The use of chemicals and enzymes could only mean harm to the entire system. They even encourage the formation of sludge by killing off the resident bacteria in the tank and in the drain field. When sludge is kept unchecked, wastewater will back up into various orifices of the system. When it comes to septic tank treatment, bacteria should be used. Bacteria are voracious eaters that break down any trace of solid waste to keep the wastewater treatment go on smoothly. Once you discover the reason why your septic tank system backs up, it would be a lot easier for you and your septic system to live harmoniously for decades.